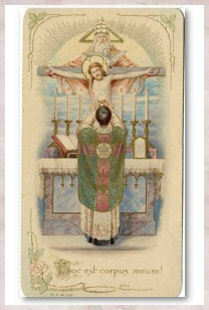 "Satan loves sin and hates the grace of Confession that comes to us through the power of the cross of Christ. The devil will try to stop you from going to Confession. He will make you feel frightened, embarrassed, proud, filled with despair or anger. 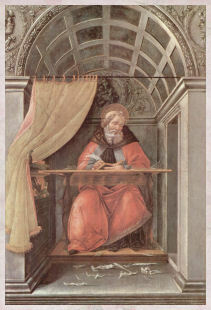 The holy Bishop, Saint Antoninus said, 'The devil takes our shame away so that we sin with ease and then gives it back when we think about going to confession.' 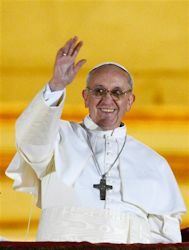 In other words, the suppression of shame that makes sin possible, flares up again to make Confession seem impossible." The devil also causes trouble after confession. Have you ever noticed that after leaving the confessional, you feel that the weight of the world has been lifted from you shoulders, yet before you know it, situations come up and you are sinning again, albeit venial sins? 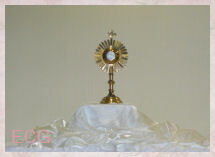 "if the idea of Confession makes you feel uneasy, turn for help tot he Mother of God. Ask her to fill your heart with confidence in Christ's love for you, His desire to forgive your sins. 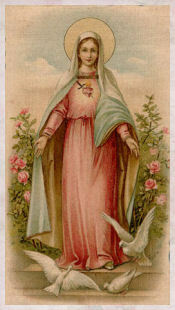 She will help you think of Him hanging on the cross in agony, praying for you and your conversion. He is thirsty for your love. Quench that thirst by confessing your sins. Ask the Virgin Mary to take you by the hand and bring you to Jesus in the Sacrament of Reconciliation. Through her motherly help you will feel the freedom to open your heart to the mercy that flows from the wounded Heart of Jesus Christ". Source: A Guide to Confession by Rev. Frederick L. Miller and published through through the Blue Army Shrine. 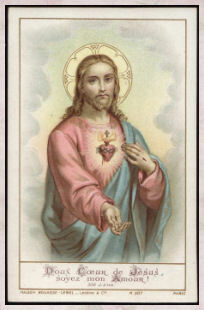 Please visit A Catholic Life for complete details and information on Devotion to the Sacred Heart of Jesus and the promises to those devoted to His Sacred Heart. “Saint Maria Goretti invites us to be faithful to the traditional doctrine of the Church. She is a role model of the Church's zeal in defense of purity and that unique bravery purity imbues. The Church has always instilled this bravery in defense of virtue. That is why a faithful Catholic should prefer death to losing his purity. 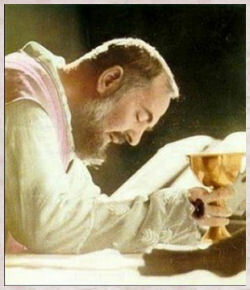 This is a video in Spanish, of the last Mass Padre Pio celebrated. The narrator sounded a lot like actor Ricardo Montalblán who has narrated other Catholic videos. Reza, ten fe, y no te preocupes. One of my dear brothers in law told us how a clerk in a NYC store had recommended an old movie of Joan of Arc. He bought the movie based on the clerk's recommendation. He said it was a wonderful movie and offered to lend it to us. Last night we took him up on his offer. My mom, Joey and I watched it. Wow! Is about all I can say about this amazing film. It is an art film. For you film buffs, you will not be disappointed. It was a silent movie made in 1927 which would make it about the time my dad was born. This was a movie that had been lost until a copy was miraculously found in a mental institution in Norway. 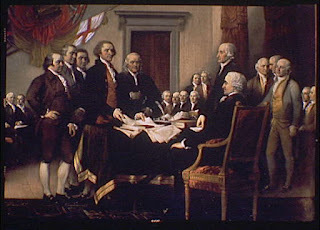 Briefly, the movie takes place during Joan's trial and execution. As you watch the drama unfold before your eyes, you will contemplate the Passion of Christ, who was also mocked and abused by His tormentors. "Dreyer's account of Joan of Arc ...centers on her trial and execution. Derived from actual transcripts of her trial., Dreyer's story defies all conventions of filmmaking through his use of close-ups, jarring angles, sweeping camera movements and disjunctive editing...As Joan, Renee Falconetti makes her only screen appearance which is still considered to be the best filmed performance ever. Like Joan herself, Dryer's masterpiece was destroyed by fire, (twice in fact), and thought lost forever. Then in 1981, several film cans containing Dreyer's original cut were discovered in a broom closet of a mental institution in Oslo, Norway. In 1988, composer Richard Einhorn wrote Vision of Light, music inspired by the film and the life of St. Joan of Arc. For the first time on video, these two masterpieces are presented together. To see just one frame is to understand why scholars and critics from Roger Ebert to the Vatican consider The Passion of Joan of Arc the greatest and most important silent film every made". The foregoing is from the videotape description. Joey's school assignment is to read Joan of Arc by Mark Twain. He was finding it a little slow moving. However, since seeing the movie last night, his is looking forward to finishing the book. 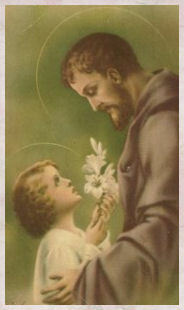 She is actually one of his favorite saints. 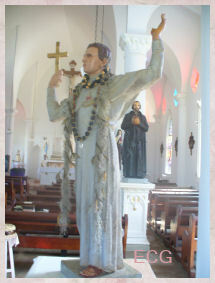 As a little boy, he has always favored the warrior saints. 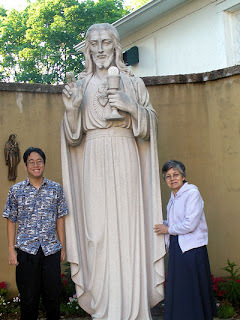 Picture of the Sacred Heart of Jesus statue taken on the grounds of Blessed Sacrament Church. 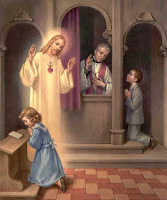 Merciful Jesus, I consecrate myself today and always to Your Most Sacred Heart. Most Sacred Heart of Jesus, I trust in You! Sacred Heart of Jesus, I believe in Your love for me. Jesus, meek and humble of heart, make my heart like your Heart. here is the very latest from the Dominican Nuns of the Perpetual Rosary in Union City, New Jersey. Before July is over, a series of meetings and conferences will have taken place between the nuns' superior, Mother Mary Jordan OP, and the Prior of the St Joseph Province of Dominican Friars for the eastern U.S. The entire community of nuns will be engaged, and probably some friars on the provincial staff. The Dominican Monastery's current situation will be evaluated and reviews, and their future will be discussed although this may or may not be the moment when decisions are taken about the community's next step. 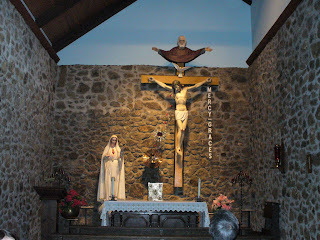 I don't know if you can see it, but in this picture taken a chapel at the Blue Army Shrine, the Precious Blood of Jesus falls from His sacred body into the Chalice. Actually, click on the picture to see it better. 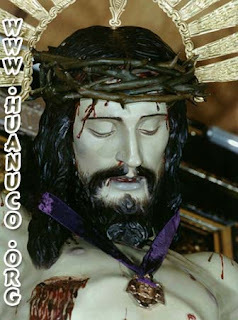 The month of July is dedicated to Feast of the Precious Blood of Jesus. This is devoted to the precious blood of Christ which was shed for us at the Calvary, the same blood which coursed through the veins of the Risen God, and the same blood which merits the sanctifying grace for us. According to the old testament, the prophet Isaiah made a vision of a man treading out of grapes. Of which, the trodder of the wine-press is Christ whose garments has been crimsoned by the blood of redemption. The new testament also mentioned on the blood and water which poured out from the side of Jesus at the scourging chamber. As we commemorate the feast, may the precious blood of our Lord sustain us as we journey to our true home, with Mary and the angels as our companions on the way. “ What a great mystery is the Blood of Christ! From the dawn of Christianity it has captivated the minds and hearts of so many Christians." 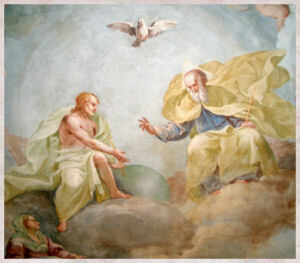 Almighty, and everlasting God, who hast appointed Thine only-begotten Son to be the Redeemer of the world, and hast been pleased to be reconciled unto us by His Blood, grant us, we beseech Thee, so to venerate with solemn worship the price of our salvation, that the power thereof may here on earth keep us from all things hurtful, and the fruit of the same may gladden us for ever hereafter in heaven. Through the same Christ our Lord. Amen. As I was praying the Divine Mercy Chaplet, I happened to look at a picture my parents have in their Sacred Heart shrine area. 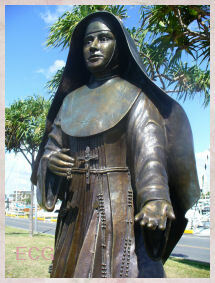 It is the patron of my birth place. It is the miraculous image of Our Lord of Burgos or Señor de Burgos. I found that my birthplace even has its own website. That is where I found the picture posted here. If you would like to see another image, please click here Gilbert's Blog. 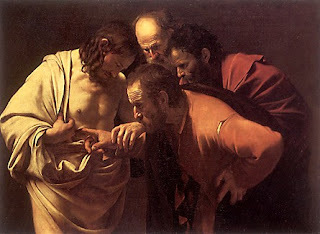 He also explains a little more about this miraculous image. However, it is in Spanish. The Angels and Saints to invoke. "Medulla Pietatis Christianae sive Libellus Precum pro Adolescentibus Litterarum Studiosis", Schneider, Joseph, S.J., Cologne, 1876.. The English is from the "Manual of Prayers", Third Plenary Council of Baltimore, 1888. Before, I get to the article, I thought I would share a little about Bishop Serratelli from my sister's experiences with him. My sister, who studied at Seton Hall University, remembers Bishop Serratelli as very unassuming. This is what she told my brother in law and me yesterday when I mentioned to them that Bishop Serratelli's writings are traveling fast over the internet, in the Catholic blogosphere. But back to the reason for this post. 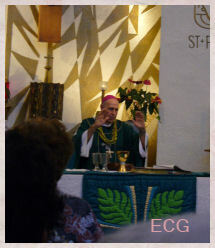 Bishop Serratelli's second installment regarding the liturgy is entitled "The Recovery of the Sacred". The column appeared in this week's The Beacon. Certain settings demand their own particular etiquette. Dress at a wedding reception differs from dress at a sports event. Conversation in a bar is louder than in a funeral home. The more we realize we are coming into the Presence of God in Church, the more respectful and reverent our whole person becomes. Chewing gum in Church, loud talking, beach attire and immodest dress simply do not belong! Father J.P. Ryan of Blessed Sacrament column in yesterday's Church's bulletin, touched on the Bishop's column. In particular he writes about the recent loss sense of sacredness when visiting Arlington Cemetery and especially when entering God's house. He related two stories that happened at the parish. One in particular is a teen girl who went to Mass wearing a tight t-shirt with the words "Of course, they're real" written across her chest. Father R. confronted her about the inappropriateness of her clothes for Church, and she looked at him with a shocked look and walked away. He also approached the girl's father who was walking behind his daughter and questioned how he could allow his daughter to leave the house dressed like that. The father too looked at Father with a look of confusion. I must admit that until recently, I didn't have a problem wearing shorts to daily Mass. 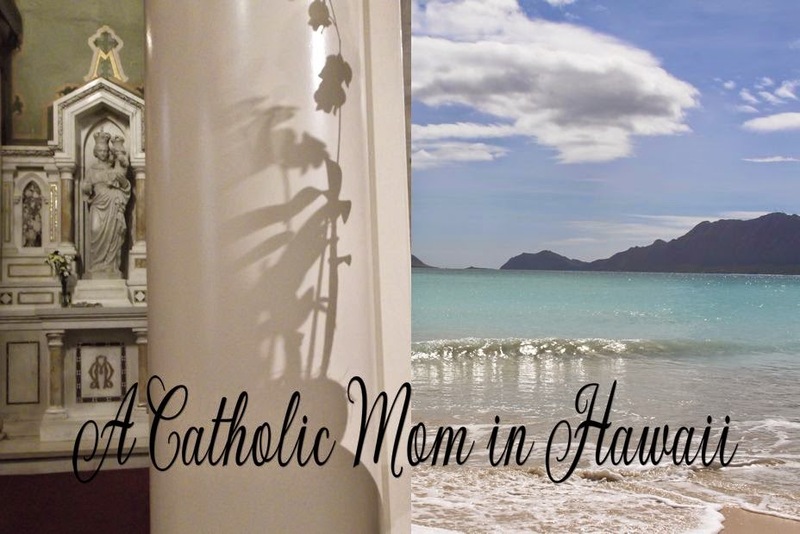 At the risk of sounding like a hypocrite, I walked to Mass in hot Hawaii. By the time I got to Church, which was about 20 minutes away, I was very hot and sweaty. However, I am more aware that proper dress is essential when entering God's house. Needless to say, I don't wear shorts anymore. I am now trying to break my habit of wearing jeans to daily Mass. My family does wear appropriate clothes (dress clothes) for Sunday Mass. For those Catholics who are going through a dark night of the soul. be forever thanked and praised. Love, worthy of all celestial and terrestrial love! and thus to become a Saint.